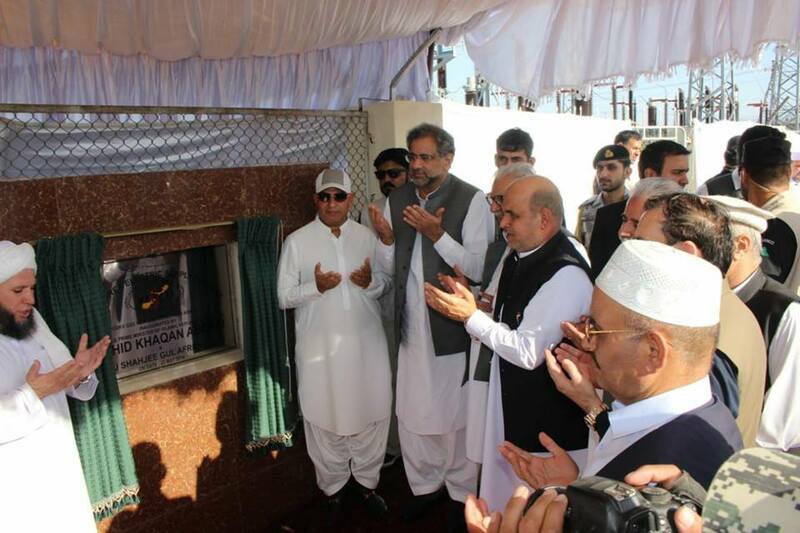 JAMRUD: Prime Minister Shahid Khaqan Abbasi has inaugurated 132 KV Power Grid Station at Jamrud in Khyber Agency. On his arrival the prime minister was received by governor Khyber Pakhtunkhwa Iqbal Zafar Jhagra, Deputy Speaker National Assembly Murtaza Javed Abbasi and Member National Assembly Shah Gee Gul Afridi. The Prime Minister later, inaugurated 132 kv power grid station that would provide uninterrupted power supply to the people of tribal areas. The grid station project was completed at a cost Rs 786 million.